Being parents ourselves, we understand that … by the time you’ve got all the kit they need in the car, you’re lucky if there’s room for a toothbrush for you. 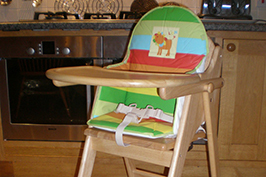 To ease the load a bit we have the following baby equipment, which should help to free up a bit of boot space you! There is no charge – just let us know when booking what you need. Each cottage has a selection of children’s matching cups, plates, bowls and cutlery and we can provide sheets and blankets for the cots. We also put in age appropriate toys such as Duplo, Lego or Brio, and there are always books, toys and games for your little ones to play with. The ground is level around all the cottages which is great for playing ball games and using the scooters and ride on toys that we provide for the older ones. 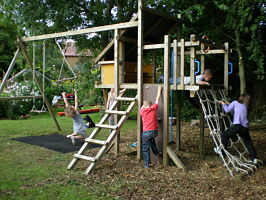 We have a small playground with adventure tower, wave slide, climbing wall and swings. 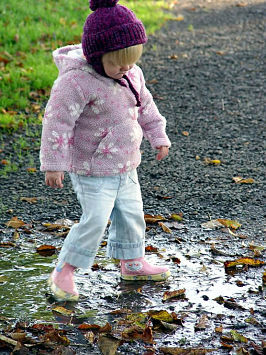 It is situated in a small wooded area which is great for running in and around. We have a carp pool, with fantastic fun fish feeding in the spring and summer and great for looking out for pond life. We have a large population of frogs and have great fun spotting the frogspawn and tadpoles. 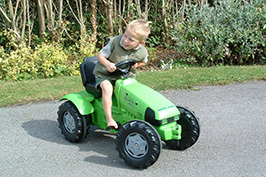 The vintage tractors are amazing and a real slice of history to view, touch and smell. 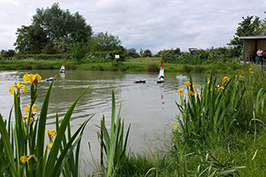 Thursdays is club day for the model boat club and club night for the model train club, which is free to enter. 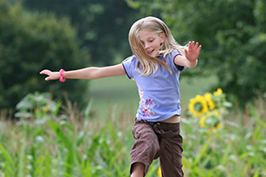 We have some lovely safe walks around our 600 acre farm and village and just across the road is the village play area, with football pitch, basketball nets, trim trail and barbecue area. 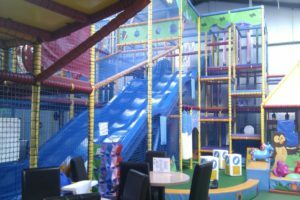 And if you want to go further afield, there are numerous family fun places to visit both indoor when it is wet and cold and outdoor when warmer and sunnier. 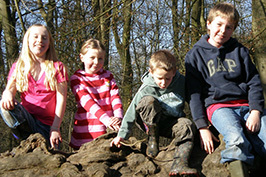 Superb art gallery and children tree adventure play area, very accessible to all. Houses the largest publicly owned collection of British vehicles in the world, and tells the fascinating story of Coventry and its people through the rise and fall of its biggest industry. 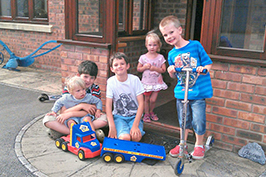 Theme park an all action packed family day out including Thomas Land and award-winning Apocalypse thrill ride. A behind the scenes walking tour featuring authentic sets, costumes and props from the Harry Potter Film Series, Located at the studios where it was filmed. 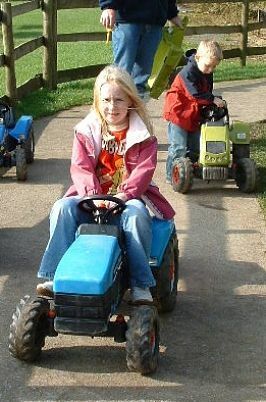 Farmyard animals, indoor and outdoor play barn suitable for all ages inlcuding adults, tractor rides, shopping village……..
A great riding stables nearby at Radway, with indoor and outdoor facilities and lot of ponies and horse for all the family and all abilities. 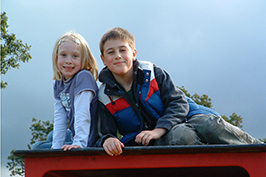 A simply superb summer activity, as well as the birds of prey and the trebuchet. Great day out. For a special treat suitable for children and adults alike, take a trip to the Coventry Transport Museum – free entrance. UK’s largest tropical butterfly paradise, feed butterflies and see other scary spiders and insect too, warm if cold outside. Hire a bike and cycle down a 5 miles traffic free path (old railway line) with cafes along the way, or venture further afield. 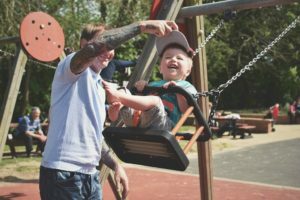 St Nicholas Park – With kids’ play areas, Adventure Mini-Golf, sport, swimming and boat rides, St Nicholas Park really has something for everyone. Viewed from the cottages and just 2 miles away, great place for walking, flying a kite or seeing the medieval church, the magnificent views from these hills are breath taking. 75 acre site well managed by the Warwickshire Widlife Trust. It is a great place to walk around with family with lots to see and discover. The clearly marked circular footpath is approx 1 mile. 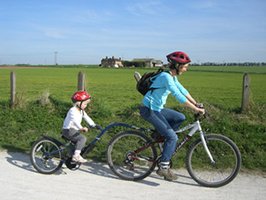 Draycote Water Nature Reserve offers a dog and car free, 5 mile paved perimeter road to walk, run or cycle around, making it a great place for young cyclists to find their legs.